Unlike in the 1980s when farming was done outdoors and in large scale, in our current generation, there is more farming indoors than outdoors. People have embraced the fact that when you grow something in a small controlled area it is easy to monitor progress and the yields are high compared to outdoor farming. This brings us to our question of the day. Given the fact that light is a basic need for plants to grow where do indoor grown plants get their light from? There are various lighting sources and the choice you go by can be your success or failure. T5 grow lights have been ranked as the best lights for indoor gardening. The problem arises when deciding on the best T5 grow lights. There are hundreds of brands to choose from and chances of messing up are very high if not pointed in the light direction. What is a T5 grow light? Why you need the best grow lights? How to set the T5 Lighting System? 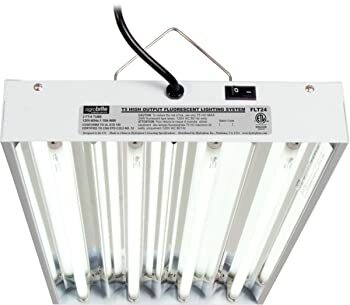 T5 grow lights can be categorized as fluorescent lights the only difference being that they are very specific in size. 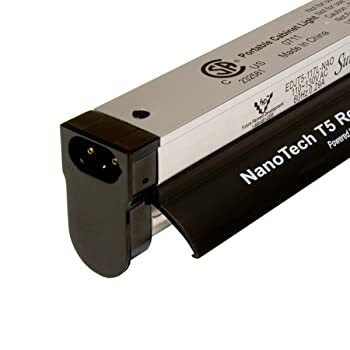 The abbreviations T5 stands for “T” for tabular and “5” for 5/8 inch diameter size. Unlike fluorescence bulbs that have to be mounted on a given track matching its size, TG grow lights are a number of bulbs that are enclosed in one case so as to give a strong, unified light for your grow tent. When starting up a grow tent as a beginner there are a lot of things that you have to put into consideration. For your project to be a success, you have to choose the best lighting. Most plants if not all can’t grow without light. For indoor grown plants the light has to be artificial and sometimes can be challenging to decide on the best. If the light and heat are exaggerated, the plants will lose moisture and probably dry. On the other hand, if the plants don’t get enough light they will lose the green coloring matter chlorophyll and will not make food. The grow light you choose must hit the balance just enough light. And, the T5 grow light does this will precision. When it comes to energy efficiency there is no grow light that compares to the T5. Choosing T5 grow lights as your primary grow light will help you save on a few extra dollars on the cost you would have incurred on power. A reduction in cost means that you will maximize on your profit and that the essence of having a grow tent in the first place. With the best T5 grow lights plants produce more buds and less light is needed to achieve great results. The conversion rate is rated at 100 lumens per watt. Higher than LED grow lights. T5 grow lights guarantee you no less than 20,000 lighting hours. 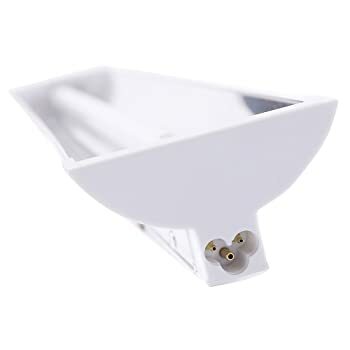 Unlike most other bulbs, the T5 grow light is not sensitive to switching on/off which is the main reason why most bulbs short circuit and burn off. The money you could have been incurred in the constant purchase of bulbs is spent on something else. There have been complaining about other grow lights starting out strong but with time the bulbs get dim. T5 grow lights start out strong and end strong without the light getting less as the bulbs get old. Unless plants adapted to grow in arid and semi-arid areas, too much heat is always a no to plants. In a grow tent, there is already too much heat, adding bulbs with too much heat will suffocate the plants by draining moisture from plants. T5 grow light doesn’t get too hot and there is no need for an expensive cooling system made up of a duct, thermostat or carbon scrubbed. The main aim of a business is to cut on cost and maximize on profits. For indoor gardeners, the lights to help you achieve this are the T5 grow lights. T5 grow lights are very cheap and affordable making it a good option even for beginners with limited starting capital. It all comes down to one thing, deciding on the best T5 grow light to purchase. It is not an easy task but if pointed in the right direction the decision you make will be one that will make you proud. T5 grow lights are specifically for indoor gardening. Plants grown outdoor have the sun as the source of light but the same thing cannot be said about plants in a grow tent. They need an artificial light source. Grow tents vary in size and when deciding on the T5 grow light to purchase this is a factor that you should not ignore. Big tents require more light and vice versa. It’s for a fact that you can’t purchase what you can’t afford. T5 grow lights are considered cost-effective but different bulbs have a different price tag. It is not always an assurance that expensive means high quality. It so unfortunate that most customers especially those who shop online don’t zoom on the product label section. This is the most important section since it provides the exact details about the product you intend to purchase. This is also the section where you will get information on the expected lifespan. On average a T5 grow lights have a lifespan of 20,000hrs but you should always check just to be sure. Different plants have different light requirements. The lighting should be an exact replica of the plant's natural growing environment if you are to get maximum yields. Before purchasing a T5 grow light ensure that you have a rough idea of how much light the plants you are growing need. 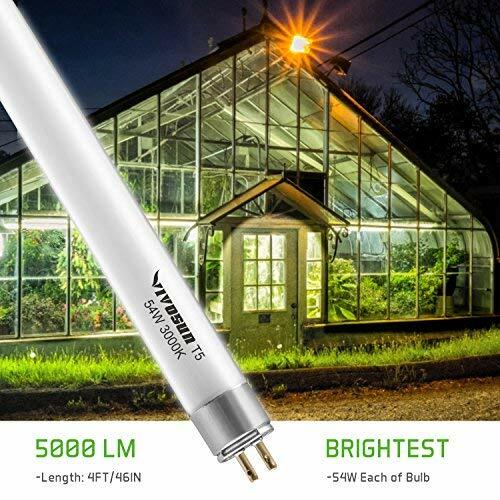 If you have been into indoor farming long enough then you must have heard about the HydroPlanet T5 4ft 8 lamp HO Bulbs. These set of bulbs are a crowd favorite and it is not by chance that they take the top stop in our list of the best T5 grow lights. To begin with just as the name suggests HydroPlanet T5 4ft 8 lamp HO Bulbs contain 8 bulbs each emitting light equivalent to 6500 KWh. There is a wide range of colors to choose from and you are given the honors to choose the bulbs you want to light through a switch control. The design is compact in nature to fit even on the smallest grow areas. The bulbs don’t get too hot and this ensures that very little heat is radiated to the plants. Truly a crowd favorite and one you should try out. 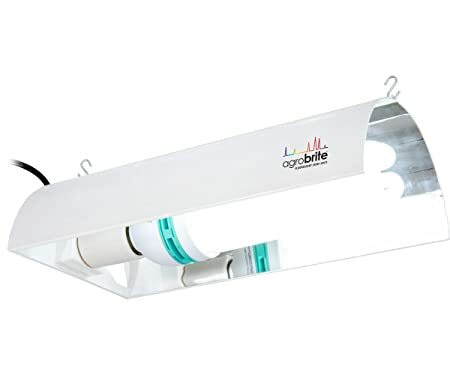 If you want light bulbs that will increase your output even when hanged just inches above your plants without fear of overheating then you should consider purchasing the Hydrofarm Agribite FLT24 T5 Fluorescent Grow Light System. The light system is made from steel powdered coat ensuring that it doesn’t easily break and reducing chances of rust. The bulbs are replaceable and each bulb emits up to 6400 KWh. So much light for a 2*4 inches grow light! Due to its compact nature, the light system can be hanged either vertically or horizontally. And, as we all know, in a grow tent space is always a big issue. Plants have different lighting requirements when flowering and a seedling. 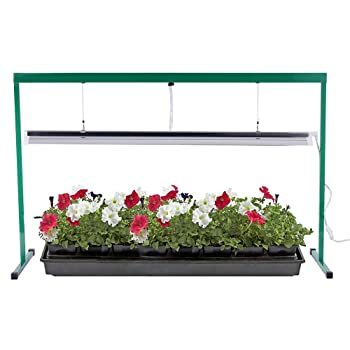 Through a switch, you can control the kind of light to fit either vegetative or flowering plants. 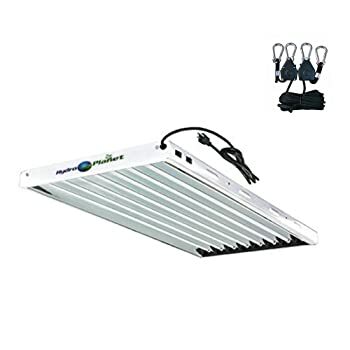 For energy efficient bulbs that will suit your plants in all stages of growth (germination-flowering) then you should consider purchasing the iPower 54W 4 Feet T5 Fluorescent Grow Light. Unlike most other T5 grow lights this particular one is a full spectrum. iPower Grow light is energy efficient and the fact that the inside is made from reflective metal ensures that the light covers a wide area. The metal also doesn’t rust so dealing with rust should be least of your worries. 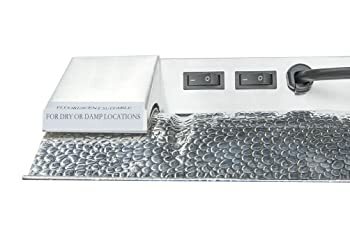 There have however been complaints that these set of lights overheat easily and you have to incur extra ventilation and cooling cost otherwise moisture will be drained from your plants. 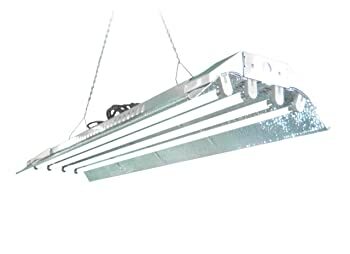 More often than not, most companies tend to forget to pack hooks and chain but not with the T5 Grow Light (2ft 4lamp) DL824. This set of lights has 4 bulbs each 2feet in length. This means that you can either decide to hang the lights either vertically or horizontally and where space is an issue this is a great deal. 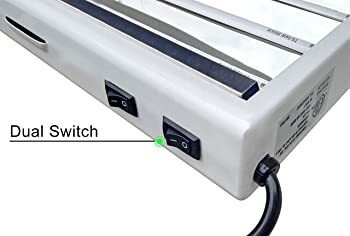 There are two switches, one controlling the inner two bulbs and the other the two outer bulbs. Each bulb gives 6500 KWh and the light is 30% more than ordinary grow bulbs. 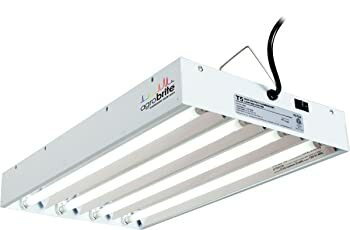 T5 Grow Light (2ft 4lamp) DL824 is made from 95% reflective material that maximized on the light emitted. 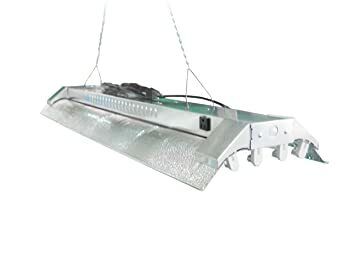 It is one of the easiest to install T5 grow light even someone with little to no experience in lighting can install it. 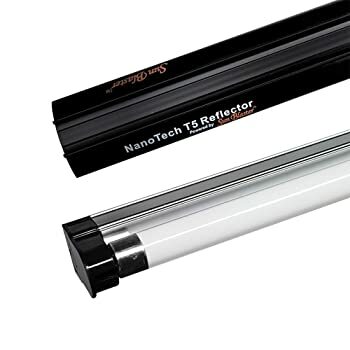 Sunblaster 904297 NanoTech T5 Light is lightweight and comes with hooks & clips in the package. The bulbs emit 6400 KWh and reflect up to 100% of the light. Not much can be said about this set of T9 lights but the product surely makes the cut for the best T5 grow light. It’s very rare to find T5 bulbs with spectrum light. Vivosun 4 Ft 54W T5 Grow Light Bulbs makes the cut. Consuming just 54 watts these set of bulbs emit 5000 lumens in a spectrum of orange and red lights to help just any plant grow through all stages. The bulbs are long lasting with a lifespan of 20,000hrs. On purchasing these grow lights you can be least assured that the bulbs don’t flicker on an off. The light is constantly bright to ensure maximum output. 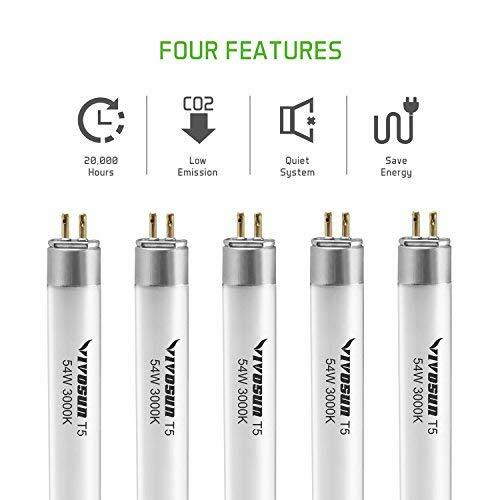 Here is something else that most other T5 grow lights can’t compete with; Vivosun 4Ft 54W 300K T5 Grow Light Bulb has an excellent customer service running on a 24-hour basis. 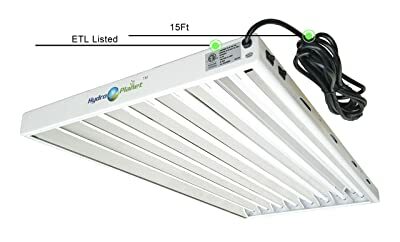 Closing our list of the best T5 Grow Lights is the Hydrofarm Agrobrite FLCDG125D Fluorowing Compact. It is not by chance that this set of grow light bulbs made it to our list. Consuming only 125 watts the bulbs emit full spectrum daylight. Purchasing the best T5 grow lights is one part of a dice. You also have to know how to install it. And, the good thing with this is that no prior electricity knowledge is needed. T5 grow lights are hanged in a grow tent. 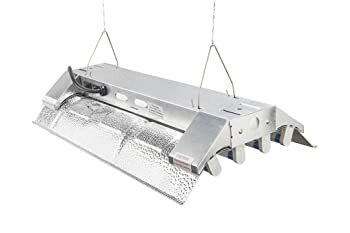 Reputable T5 grow lights have an inbuilt hanging system that is inclusive of hooks and chains. Ensure that the bulbs are level and not inclined to a particular direction. With the chains, it should be easier to adjust the slope to see to it that its level. Most T5 grow lights don’t overheat but even then it doesn’t mean that they should be hanged directly above the plants. The ideal height is (6-8) inches above the plants. However, if you are not sure of the heat emitted by the bulbs you can push the distance to 12 inches. T5 grow lights can penetrate up to 20 inches below the canopy. It is my hope that you found our review on the best T5 grow light useful. In a market where every brand claims that its product is the best, it can be overwhelming to decide on what is the best. Well, the good this is; this will not be the case with you. At least not when we have reviewed 8 of the best T5 grow lights in the market today. If you found this article useful kindly share it with a friend or two and don’t forget to leave a comment in the comment section below.